Dissertation: "Applied Voice Instruction: Constructing a Measure for Evaluating Voice Teacher Effectiveness"
International Inlingua, Schools of Languages, Lugano, Switzerland Year study of Italian and French (1985-1986). Teaching Applied Music (A&HM 6023): This one-semester course reviews the literature available in applied music and connects theory to practice by developing students’ teaching pedagogy. Teaching is peer-reviewed via video recordings with consideration given to a student-centered approach and diverse populations and music. Volunteers for lessons are recruited for the Fall Into Music program from around the college with a culminating end-of-semester performance. This program is supported by the Vice-President’s Office of Diversity and Community Affairs. Vocal Pedagogy (A&HM 5023): This course reviews and studies the principles of the voice and how to apply this knowledge to practical applications in the singing world, including private studio work and the choral world, young voices and maturing voices, and classical and popular styles. Final research project is designed to take on an area of students’ particular interest and delve further into its study by a literature review or field observations and interviews. Current topics include transgender voice, vocal identities among teens, music teacher vocal burnout, and repertoire topics including Korean folk singing and Tuvan overtone singing. Choral Pedagogy (A&HM 4023): This course develops practical applications of singing for the choral world, focusing specifically on the developmental aspects of the K-12 voice. A final performance is developed including diverse repertoire, original musical arrangements, and peer collaboration in repertoire and conducting. Internship (A&HM 6481): This course addresses college teaching and allows students to observe another teacher or to self-reflect on their own teaching. Projects and readings focus on classroom teaching for the college teacher. A portraiture approach is included in the data collection; development of a new course is an example of the practical application of material. 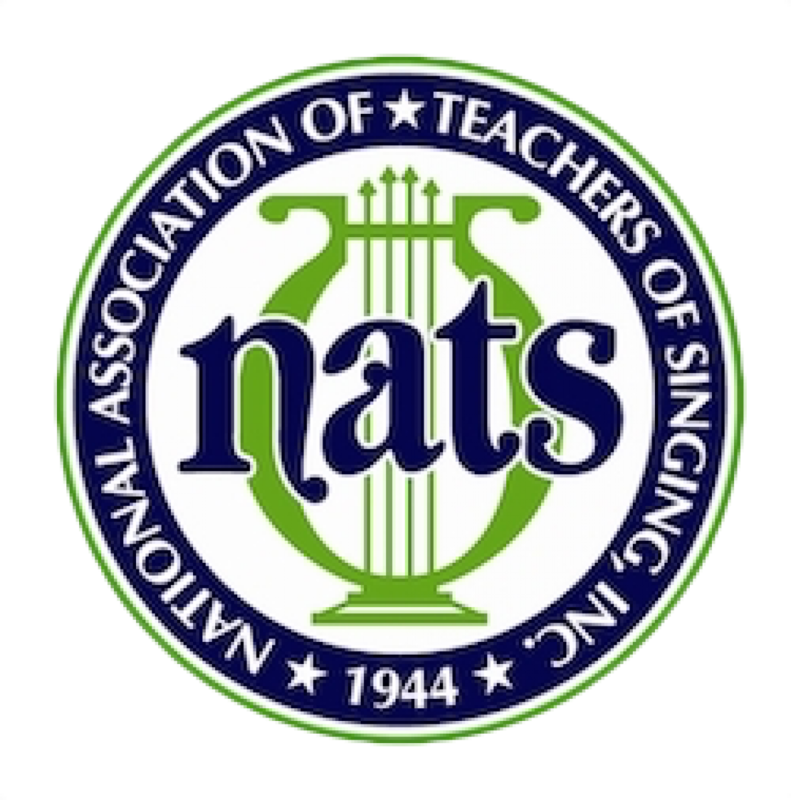 Special Topics: Singing for the Classroom Teacher: This course encourages students to learn how to use their voices in the classroom and to establish healthy singing and speaking habits, new repertoire and collaboration among the students. Voice Lessons (A&HM 5152): Weekly private lessons for students at all levels. Students are asked to journal lessons, evaluate their own work, and give a performance by the end of the term. Ownership of the voice is the goal. Vocal self-identify is an important aspect for musicians, who will need this ability to self- reflect and apply this information to their own teaching and choral situations. Recitals (A&HM 5058 and 6058): Masters and Doctoral recitals are mentored and reviewed. All students have performances in their graduation portfolios, and doctorate students complete a recital program as their certification project. Musical Serenades: The goal is to create a supportive environment for students to share their progress in an informal musical and social setting. Initiated six years ago, five concerts are currently held each year for all members of the community, including music students and their own students in the applied music program. A variety of music with a broad range of genres and instrumentation is offered at the end of every semester. One aim is to reflect on the diversity of music and approaches in a supportive and welcoming environment at Teachers College. Musical Serenades Junior: This program for our younger students who are currently studying with TC music students allows them to perform on their instruments or sing in a supportive environment. Fall Into Music: Free lessons are offered through A&HM 6023 to the Teachers College community culminating in a concert. Volunteers from around TC are offered 8 lessons in a variety of instruments to reconsider the applied music pedagogy. Professional Development for Applied Music Student Instructors: These events highlight issues particular to the applied music studio. Current for Spring 2016 were events including “meet and greet”—an opportunity to share pedagogical practice; “Savvy Studio” approaches for the business side of the studio; and an open “Dress Rehearsal” for Musical Serenades. Assisting in training and repertoire for a summer festival in July 2016; productions include Magic Flute (Mozart) and La Boheme (Puccini); Includes both pre-professional training (graduate and post-graduate) as well as younger singers (13-18 y.o.). Instructor of Vocal Pedagogy: Semester course designed to help young singers understand the basics of vocal production. Studio Instructor of Voice: Applied voice instruction (classical and musical theatre); instruction included master classes, diction, ornamentation, and performance techniques; preparation of material for juries, auditions, opera, competitions, and recitals. Instructor of Italian, English, French Diction Classes: Classical voice major learning IPA (International Phonetic Alphabet), singers' pronunciation, and basics of style. Instructor of Class Voice: Graduate-level class aimed at technical development and self-evaluation; projects include evaluative listening assignments, journals, and repertoire. Instructor of Studio Voice for Classical and Jazz Voice Majors and Minors: Weekly lessons working on technique and repertoire. Instructor of Class Voice for the Music Education Major: Course includes basics of singing technique and IPA; projects include creating warm-ups for class, listening assignments, leading warm-ups, and ornamentation. Instructor of Vocal Pedagogy to undergraduate voice majors: Projects include repertoire for beginning students, medical conditions for singers, and applied lessons. Studio Instructor of Musical Theatre Performance Majors: Instruction in musical theatre and classical repertoire including musical preparation. English and Italian diction, belting, and performance techniques. Collection Development including selecting new acquisitions, overseeing budget, and score/book preservation. Reference Services including consultations with faculty/students. Supervision of Graduate Assistants in appropriate subjects. Voice Instruction/Consultant: Styles covered include classical, musical theatre, and popular music; preparation of yearly performances, auditioning material for music theatre, opera, university programs and professional auditions; ages 12- professional, including retraining aspects of singing. “Effective Training of the Child and Adolescent Voice” - A workshop and panel presentation on the development, treatment, and training of child and adolescent voices. This overview of the changes in the developing voice's structures and functioning was targeted to private studio teachers as well as K-12 vocal music educators. “March of the Falsetto” - demonstrating techniques for the whistle register. “Mirrors of Meaning: Studies of Mutuality and Influence in Musical Encounters Between Young Children and Adults” (with Dr. Lori Custodero, Dr. Patricia St. John, Faye Timmer [doctoral student at TC]). “Working Towards a Student-Centered Applied Music Studio” (with Dr. Hal Abeles, Marilyn Thompson, and Stephanie Letson). Participation in retraining of singers with Dr. Peak Woo, M.D., and Linda Carroll, Speech-Language Pathologist; on site two full days per week observing Dr. Woo and aiding Dr. Carroll in assessment measures and clinical retraining. Participation in retraining of singers with Dr. Anat Keidar, Ph.D., Speech Pathologist. “Discovering Voices: Expanding Students’ Musical and Vocal Ideals in an Urban Community Children’s Choir,” Nicole Becker and Jeanne Goffi-Fynn. Choral Journal, 56(7), 2016. “Collaboration and Conquest: MTD as Viewed by Voice Teacher (Singing Voice Specialist) and Speech-Language Pathologist,” Jeanne Goffi-Fynn and Linda M. Carroll. Journal of Voice, 27(3), May 2013. doi: 10.1016/j.jvoice.2012.12.009. Epub 2013 Mar 7. "Factors of Applied Instruction," Jeanne Goffi, Hal Abeles, Susan Levasseur. Journal of Music Teaching and Learning, Spring 1992. An entire CD of Silverman’s chamber work, Manhattan Stories, including “Love Songs for Voice and Flute.” Available on Albany. 2014–“Research and Creative Accomplishment in Promotion and Tenure: A Realistic Look at Expectations for Teachers of Singing in Academia"
and personal growth of youth by empowering them to discover and share their voices with confidence and pride. New York Singing Teachers Association (NYSTA), former Board Member. Duties included planning monthly workshops and weekend seminars for voice teachers. Former Coordinator of the Professional Development Program, a program in vocal pedagogy. Pi Kappa Lambda (National Music Honor Society), Member. Interviewed for Michael Shaughnessy at University of Eastern Finland Problems in Music Pedagogy, 2013. Coordinator of adjunct instructors in applied music (currently 23) in addition to Student Instructors (currently 35). Specific issues include goals for establishing good teaching practices in a student-centered environment: syllabi, teaching evaluations, community of teachers, and performance opportunities. Special topics for our student instructors include mentoring and peer collaboration, master classes, and performance venues. Approximately 150-200 students register for lessons per year. Program designed to allow performers to complete their doctoral studies while keeping faculty teaching positions. Duties include interviewing prospective students, reviewing performance tapes and auditions, advising and facilitating issues due to distance learning opportunity. During summers, social and information sessions are programmed, doctoral aural exams administered, and general support is offered during their stay. Incorporating strategies to bring art song into the classroom.